Considering the search Engine Optimization WordPress has a significant impact. The WordPress is considered to be the essential aspect of content management and is said to be trending these days. Making use of WordPress will probably help you to create a constructive and informative website that will help in promoting your business. In addition to WordPress, you should also take into consideration some other aspects as a WordPress cannot individually help in gaining more profit. There are some strategies that you need to implement on them and then you will very instantly find positive results. No doubt Search Engine Optimization is considered as one of the most unique and powerful tools that have been the biggest asset to a successful business. Depending upon the SEO optimized on your website the number of visitors and your page ranking varies. If you optimize your website to its fullest, then there are maximum chances for your site to be ranked on top in the Google search page. This is the main aspect existing behind the visibility of your website and it has the maximum chance to get exposed to the external world and can reach a wide range of audience. Therefore, it is good to make use of some extraordinary techniques that will definitely help in improving SEO on the WordPress website. Before starting it one should also know the exact way how to approach it. A strategic plan is, however, essential to make you more successful. When you are in the right place as here you are going to find different ways how making use of SEO in order to have a positive impact on your website. 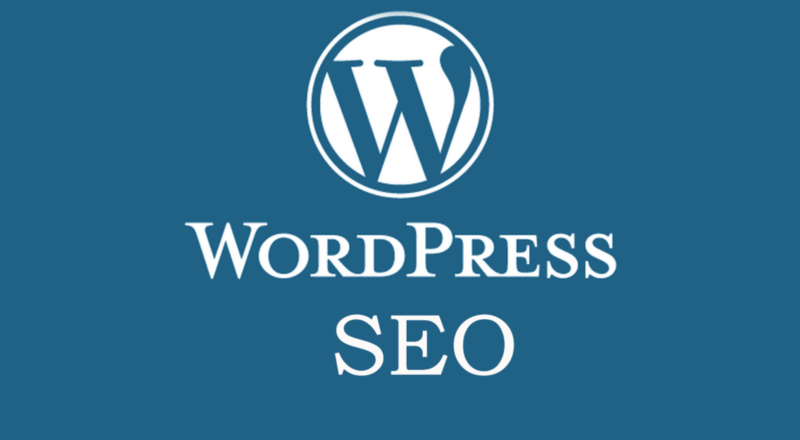 So follow this article providing the best tips to improve SEO on your WordPress website. If you consider the average use of laptops or personal computers has gradually decreased. And these days people are showing more interest in order to search for a particular product or item or even browse the website through their mobile devices or tablets only. It is too good to be true that the websites that are designed for a personal computer cannot easily fit small screens such as a Smartphone or tablet. But if it is a responsive website then it has a natural tendency to mold itself in such a way such that it can very easily fit in any device like a personal computer or even smart phones. This is one of the main reasons why responsive websites are said to be on top and are often ranked to be the best. Therefore, it is essential to create responsive websites so that there are maximum chances to reach a wide range of audience no matter what device they use. If you are searching for a web host make sure to do proper research. Otherwise, this will have lots of negative impact on the website that you have created. A good research paper probably helps you to get closer to the best web host. In addition to that, the web host that you choose need to be hiding speed along with more space and should be affordable. It is too good to be true that you should get a good web host before building your website because there are maximum chances to get rid of any other external issues created by the web host. Depending upon the web host you choose the Google ranking for your website may also vary. The Google accepts your website if you have a good web host else it may be rejected. This interval will have an impact on your website and people reaching your website may drop gradually. People who visit your website often have a look at the permalinks that you have used in your website. Instead of giving a plain link if you add some attractive description to permalinks, it attracts the visitors very easily. Moreover, the search engine also takes into consideration based on the permalinks that you have added. While you are creating permalinks make sure you do not extend more than five words. Avoid using hyphens instead makes use of underscore in order to eliminate confusions with a search engine. Furthermore, you can also add some keywords to permalinks in order to make it more attractive. The content you use on your website also plays a very important role. Therefore, it is essential to concentrate more especially when you are constructing content as it needs to be informative and attractive. This will perhaps help in increasing the number of people visiting your website. In addition to that the most attractive and the useful information help in improving SEO for your website. So it is essential to take extra care while constructing the content and it needs to be included with proper headings and format. You can use as many headings as you can so that it will be easy for the reader to go through it and will also have a positive impact on SEO. You are dealing with WordPress, therefore, there is no necessity to concentrate on plugins. One of the advantages associated with WordPress is that it takes the complete responsibility of plugins. Moreover, the plugins are said to be the biggest assets that help in improving the SEO of a website. For example, if you consider Google XML Sitemaps they automatically build exclusive XML Sitemaps that have the capacity to crawl automatically and browse the entire website. This will have ever helped in getting Useful information from the user. It is good to use images on your website as this has a maximum tendency to reach a wide range of audience. But you should be careful while adding the images as all sizes may not be accepted by the website. Moreover, the image cannot be uploaded to directly instead optimize and then upload. This is, in fact, a way to reduce the size of the image, thereby compressing and resizing it to fit the website. By doing this the loading time will drastically reduce which helps in improving the overall performance of your website. Adding images will definitely have a creative look to the entire website and make it look more informative. Make sure to add appropriate images to the content otherwise it may have a bad impression. Making use of themes is also essential while constructing a website. The entire look of the website depends upon the theme that you use. Therefore, you need to concentrate a lot before finalizing a theme. Depending upon the team that you have selected the impression on your website may vary. In order to have positive impression make sure that your team matches up with the content that you have uploaded on the website. The theme has a vital role in the SEO process which needs to be selected keeping in mind its loading speed, functionality, appeal, and SEO features. So before you are uploading any theme make sure you obey everything correctly. Plugins are one of the most essential as per that need to be included in the WordPress website that you create. You must be very careful while using plugins as too many plugins may how your website. An ideal way is to use a single plugin for each website you construct. In addition to that, they also have a wide variety of features which will help in optimizing your website keeping in consideration your needs and requirements. This is perhaps said to be a magic way to boost up or enhance your website. By doing so, your website looks more fresh and updated giving it informative content. While linking it is essential to keep in mind the link that you have posted. This is perhaps known as interlinking, which is a great way to feed the search engine. Moreover, it also has the maximum possibility to create virtual maps and relate them to various posts. And of course, an easy way to navigate to various websites created by you. Social media has a tendency to draw the attention of a large number of audiences. This will, in turn, help your website to be on top. The social media has the capacity to make your website more popular thereby increasing the number of shares and likes. Depending upon the probability of shares and likes the chance of reaching an audience will probably increase. So if you are interested to have a significant impact in the digital world, make sure to use social media in an appropriate way. Some of the social media platforms such as Facebook, Instagram, YouTube also play a very important role and help you to connect with the digital world in a more advanced way. Create a page in any of the social networking websites where you can read the world very easily. Even the WordPress has the tendency to connect yourself with social media, creating a new platform for you. In addition to that, you need to be active in social networking websites, thereby creating new posts and getting updates from time to time. It is highly recommended to keep yourself away from spam content as this will have a negative impact on your entire website. Therefore, it is essential to have a look on the span content which may be added even without your knowledge. If in case the spam content has been added then your website will be considered as a spammer by the search engine. This span content is highly dangerous for your website which makes even a lead it to be blocked. The updated and the latest version of WordPress will help you to be away from linking posts in the comments which will help in controlling the spam content. In order to do so, you have to manually change the settings of the WordPress and it will automatically take care of span content. In all possible ways, content is said to be the biggest asset for your website. Moreover content has the capability to either make or even break your business. Therefore, you need to take additional care while dealing with the content that is being added to your website. Always make sure that the content you use needs to be informative, well constructed, fresh and original with the appropriate format. Before you actually upload your content to make sure it is formatted and everything is perfectly organized. The content event carries the essential keywords that are often progressed by the search engine which will help in increasing the ranking of your website. If you create content with images it has 94% visibility, which also helps in increasing the effective blogging and has web traffic by 55%. While doing so almost 80% of the individuals attract themselves to fresh content and is, of course, a better way for them to gain more information. Therefore, it is essential to concentrate on various aspects that will help in improving SEO. Above all, you are given maximum, a chance to get organic traffic for your website. While creating your blog, make sure you add some creative and catchy plugins in it. The catchy plugins cat in two different ways that will directly help in enhancing the performance of the website. Moreover, they have the capacity to increase the speed of the website and also help in minimizing the load on the web server. They often act as catchy statics as well as dynamics which drastically help in minimizing the loading speed. When you are using WordPress you often find W3 Total Cache to be a perfect choice which can also be used by you. In addition to that, there are also some other plugins provided by the WordPress which can be used by you in a number of ways. Some of such plugins include browser caching, database caching, object caching, and so on. The overall advantage associated with catchy plugins is that they will definitely help in minimizing the page loading time, which will eventually help in improving the viewer’s experience. Depending upon the browser experience the number of chances to visit your website increases, which gradually enhances the organic traffic? Whenever you are dealing with keywords make sure that you are smart enough to use them appropriately. If you use keywords in an appropriate manner, then you are more likely to get huge traffic. For this, you need to be both smart and wise and place keywords in required positions only. Rank brain is one of the artificial intelligence that is often used by Google in order to keep an eye on the spam keywords. The keywords should be Limited using excessive keywords may also have a negative impact on your website. The entire repetition of your website will gradually fall if you do not use proper content or if the keywords are not stuffed properly. This will have an impact on your search engine result, therefore it is essential to make use of keywords in a well-organized manner.